Australia 4-112 (David Warner 65*, Michael Clarke 19, Wayne Parnell 2-19, Vernon Philander 2-26) trails South Africa 423 (Jean-Paul Duminy 123, AB de Villiers 116, Nathan Lyon 5-130) by 311 runs with six wickets in hand. The Proteas amassed 423 runs in their first innings after 150.5 overs and the Kangaroos reached 112 in 25 overs with six wickets remaining. 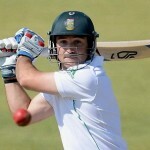 The second day of the Test came to an end on Friday, February 21, 2014, at St George’s Park, Port Elizabeth. Earlier, the hosts went into bat at 5-214 in 83 overs whereas AB de Villiers and Jean-Paul Duminy were in the middle for 51 and 2. The batsmen were watchful in early overs but kept on creeping with odd boundaries in the following ones. 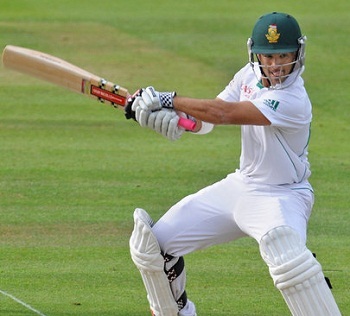 Duminy went past his fifty with a four and de Villiers smashed his 19th Test hundred with a boundary as well. The Australia skipper, Michael Clarke, utilised seven bowlers to get a break through but remained unsuccessful until lunch break. 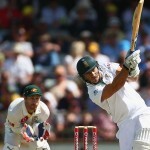 The sixth wicket stand was finally dislodged after a superb partnership of 149 when AB de Villiers was caught and bowled by Nathan Lyon for 116 runs. 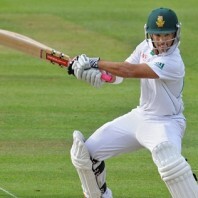 Jean Paul Duminy took charge whereas the lower order batting was unable to impress. 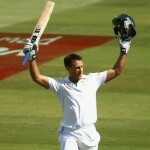 He dispatched his third Test century and was dismissed for 123 and the innings of the entire home side was folded back at 423. Nathan Lyon was the pick of the bowlers with five wickets whereas Ryan Harris, Mitchell Johnson, Steven Smith and Michael Clarke shared one wicket each. Australia lost its first wicket at seven and the responsibility of scoring was taken over by David Warner. The top order batting surrendered against the quality bowling from the Proteas and the tourists were reeling at 3-41 when Michael Clarke appeared in the park. He continued with his poor form and had some anxious moments at the crease while Warner was dropped at 43 by de Villiers. Clarke was gone at 81 after contributing 19 and was replaced by Nathan Lyon. David Warner attained his 11th Test fifty and remained unbeaten for 65, Lyon was at the other end at 12 as the Aussies managed 4-112 in 25 overs. Vernon Philander and Wayne Parnell were the only successful bowlers with two wickets each. South Africa still carries a lead of 311 runs but the middle and lower order batsmen of Australia can take their side to stability.